Too much of anything, no matter how pleasurable it is (at least in the beginning) can lead to harmful effects. Take anything that one might enjoy—eating chocolate, shopping, playing blackjack, even exercising—and consider the harm it may cause if it is overindulged in. The adverse effects or consequences of overindulgence are well known—obesity, bankruptcy, harm to the body, and more. The same can be said about alcohol. An occasional drink is not the issue. But if drinking takes on a substantial role in one’s life, the effects can be ultimately devastating. Alcoholism is a widespread problem in the U.S., with 88,000 deaths each year attributed to alcohol, according to the Centers for Disease Control. Ethyl alcohol is a highly toxic substance that can cause serious damage, both physically and psychologically, in addition to the increased risk of fatalities due to driving under the influence. For many, the negative effects of excessive alcohol consumption may not be apparent for some time, however at some point there will be obvious signs alcohol is killing you. Excessive drinking is 8 or more drinks in a week for women and 15 or more drinks in a week for men. Binge drinking is 4 or more drinks in a single occasion for women and 5 or more drinks in a single occasion for men. A “drink” is defined as a 12-ounce beer, 8 ounces of malt liquor, 5 ounces or wine, or 1½ ounces of liquor. Cardiac symptoms. Long-term heavy drinking takes a heavy toll on the heart. Signs of serious cardiac issues that could result in death include atrial fibrillation and ventricular tachycardia, two signs that you are experiencing heart arrhythmia, another term for abnormal heart rate. Alcohol can also lead to a heart condition called alcoholic cardiomyopathy, which is when the heart muscle weakens and cannot pump enough blood to the organs. This can result in organ damage or heart failure. Cognitive problems. Excessive alcohol use can lead to brain damage, which shows up first as a reduction in cognitive functioning and also problems with memory. Thiamine (B1) deficiency often results in alcoholism, leading to significant brain damage. Two serious brain conditions caused by heavy alcohol consumption are Wernicke-Korsakoff Syndrome and Korsakoff’s psychosis. These can cause severe confusion, paralysis of the nerves around the eyes, memory loss, and impaired motor coordination. Gastrointestinal problems. Alcoholism can cause excess acid, such as acid reflux, in the stomach that can lead to gastritis. It also causes irritation and inflammation of the stomach lining, which can cause ulcers and internal bleeding. The loss of blood can lead to anemia, causing extreme fatigue. Excessive drinking can also lead to stomach pain that may indicate chronic cholecystitis, a gallbladder condition. Liver disease. Alcohol is incredibly toxic to the liver. The problem with liver disease is that the signs of it may not be detected until later stages, such as when cirrhosis occurs. At that point the eyes will appear yellow, one loses their appetite so there will be sudden weight loss, as well as intense itching, weakness and fatigue, and easy bruising. Cirrhosis of the liver, which often begins as fatty liver disease, is a fatal condition unless a liver transplant is successful. Cancer symptoms. Alcoholism causes an increased risk of developing multiple types of cancer, most of them deadly. Symptoms that may indicate cancer range depending on the type of cancer, but symptoms generally begin with weight loss, fatigue, and pain in some area in the body. Types of cancer associated with heavy alcohol consumption include oral, throat, esophageal, and voice box cancers, colon cancer, rectal cancer, pancreatic cancer, liver cancer, and breast cancer. In addition to these physical consequences of alcoholism, life-altering impairment can be caused in many other ways as well. 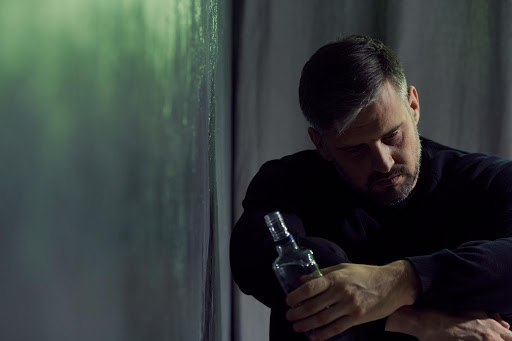 Legal problems due to DUIs, loss of a job, divorce, custody battles, and financial problems are other signs that alcohol is causing devastating problems in one’s life. As with any health condition, the sooner someone seeks out professional treatment for an alcohol use disorder the better. The more entrenched the disease, the longer it takes to be treated and to overcome the addiction to alcohol. But at nearly any point along the continuum of alcoholism it is possible to reverse much of the damage and change the course of one’s life. The first step in recovery will involve detoxification. Alcohol detox is sometimes tenuous, as withdrawal symptoms can become unpredictable and severe. It is never advisable to attempt to detox alone without medical supervision, as serious health risks are possible, necessitating emergency medical intervention. During a medical detox the individual will be closely monitored throughout the process. As withdrawal symptoms emerge, the detox team will administer the medications that will greatly reduce the discomfort of withdrawal. After the detox and withdrawal phase is complete, the individual will be stable enough to begin treatment. Treating alcohol addiction relies on several therapeutic activities that are designed to work together toward changing fundamental behaviors and teaching recovery skills. Often the 12-step program from A.A. is incorporated into treatment, but not always. There are non 12-step programs available as well. Psychotherapy forms the basis of addiction treatment, utilizing evidence-based approaches such as cognitive behavioral therapy, dialectical behavior therapy, and motivation enhancement to help individuals make the needed changes in their thoughts and behaviors. 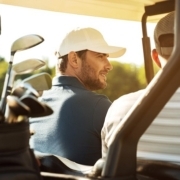 Golf Drug Rehab is a unique rehab program located in Orange County, California. Using a combination of evidence-based therapies and golf recreational therapy, clients find a good balance between recovery work and enjoyable pastime. For more information about the program, please connect with Golf Drug Rehab today at (877) 958-5320.